I m a high school ESL teacher, love my work! 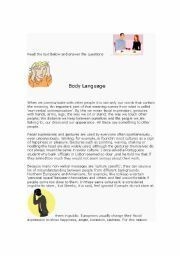 A reading exercise about Body Language and the differences between cultures. Suitable for Junior High School and High school. Sparks interesting and funny conversation. 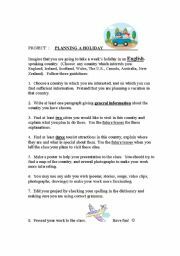 A fun activity in which students plan a vacation by doing some research about places they´d like to visit, doing some in-class work and then presenting their work to the class. Lots of fun! 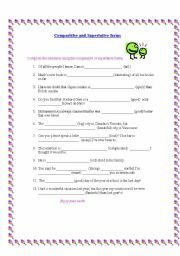 A straightforward worksheet to practice the Comparative and superlative forms. 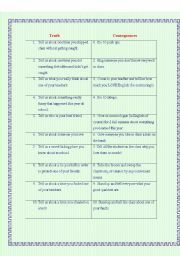 suitable for intermediate students or as review for more advanced high school students or adults. Truth or consequences - end of school year game for a bit of fun. An inspirational reading from The Tibetan book of Life, which I like to use when discussing addictions, risk-taking and problematic behaviour in my classes. 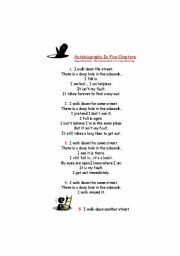 A lot is to be learned from this short ´autobiography´, it can apply to so many aspects of our students´ behaviour. Suitable for Junior high, high school and adult learners. 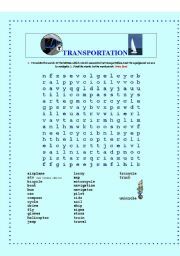 A wordsearch worksheet to review vocabulary related to methods of transportation, and the equipment used in navigating . Suitable for all ages. Wordsearch - All about Money! 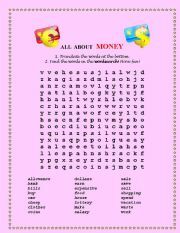 A fun wordsearch containing vocabulary related to money : a fun activity to follow conversation about the kids´ allowance, what they like to spend their money on, shopping etc. Suitable for all levels and a great time filler for those extra minutes at the end of a lesson.